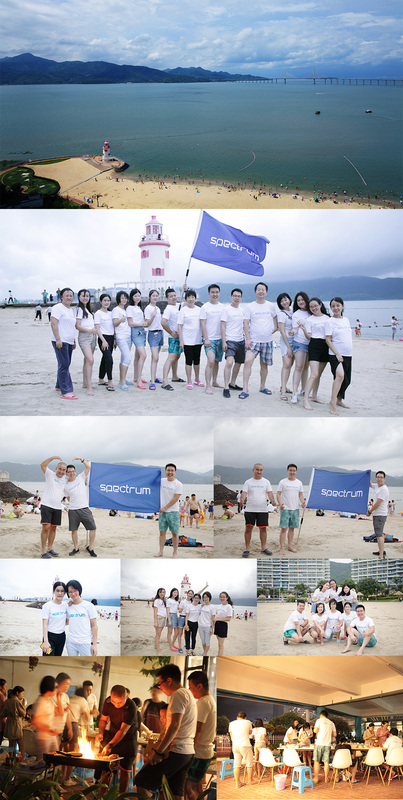 From 2018 Aug 11th to 12th, SPECTRUM Overseas Team had their team-building activities in the seaside of Huizhou. They had a barbecue, played plenty of group games, and sailed in the sea with their family. The weather was great, the mood was great, everyone had a wonderful memory.